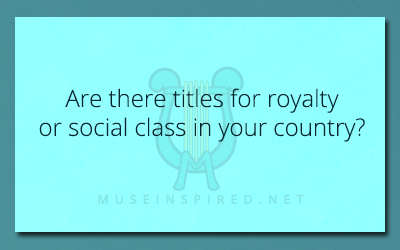 Cultivating Cultures – Are there titles for royalty or social class in your country? Cultivating Cultures - Describe a ceremony that can only be performed during the first frost. Cultivating Cultures - Create a holiday that celebrates the sun. Cultivating Cultures - Where would the people go if they needed medical treatment?